The school year has just started and already I’m getting phone calls from educated, articulate parents who want to make sure their young children are taught enough about sounds and spellings to learn to read and spell well. These parents can see that their child’s school teaches early literacy mainly via memorisation of high-frequency words, initial and incidental phonics and “reading” books containing spellings they’ve never been taught by looking at pictures, first letters and guessing (multi-cueing). They know this sort of teaching results in about one in five children struggling to learn to read and spell. Decades of research (major summaries are here and here) has clearly shown that children should be given more systematic and explicit phonics teaching than most currently get. They’ve found me on the internet or the grapevine, and ask for advice. What I really want to tell them is: “Get together a group of parents who share your concerns, and march into the school loudly demanding explicit, systematic, synthetic phonics teaching for all 5-7 year-olds. Occupy the Principal’s office and refuse to shut up and leave till all the early years teachers have the training and resources they need, and better literacy teaching is being implemented in all the early years classrooms”. But that would be very disruptive and confronting for schools, and upsetting for teachers. Parents want to build warm, cooperative relationships with their children’s teachers. Teachers are mostly exceptionally nice people, and hurting their feelings is a bad idea. 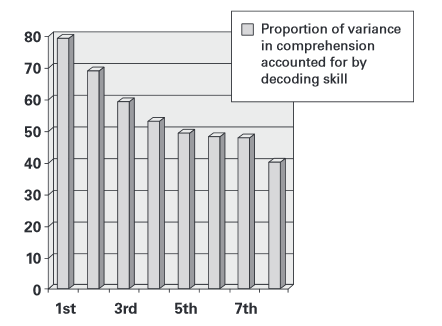 Yet most early years teachers are starving about one in five children of the type of literacy teaching they need. If teachers withheld children’s lunchboxes and starved them of necessary nutrition, there’d be a riot. Consider the long-term consequences of failing to learn to read and write well, in our complex, print-based, modern society. Worth rioting about. It’s over ten years since our National Inquiry into the Teaching of Literacy clearly stated “that direct systematic instruction in phonics during the early years of schooling is an essential foundation for teaching children to read”, but this has had little impact on classroom practice, or what universities teach, education departments and teacher registration bodies require, and mainstream educational publishers promote. Yes, a literacy riot would probably hurt teachers’ feelings, but teachers’ feelings are not more important than children’s rights. Principle 7 of the international Declaration of the Rights of the Child says children have the right to an education which enables them, on the basis of equal opportunity, to become useful members of society. It is very difficult to participate, succeed and contribute in our society if you can’t read and write very well. There is no International Declaration of the Right of Adults Not to Have our Feelings Hurt. Teachers would be the first to agree that children’s learning has to take priority. All professions make mistakes. Famous paediatrician Doctor Benjamin Spock advised parents to put babies to sleep on their stomachs, thus putting them at greater risk of Sudden Infant Death Syndrome. Some chiropractors have advised against child immunisation, which makes my blood boil because my father had diphtheria as a child, and his brother had polio. I feel ashamed of my own profession’s failure to directly and immediately discredit Facilitated Communication, which started here in Melbourne and destroyed many lives. 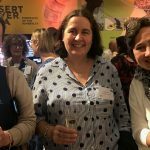 Check out this blog post for lots of other things professionals have recommended, and sometimes still recommend, despite little or no scientific evidence, wasting lots of money and precious learning time. If teachers got everything right all the time, they’d be unusual. 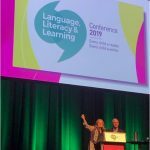 Literacy educators currently tend to emphasise meaning and look down their noses at phonics, which teaches about the structure of words – their sounds, spellings and meaningful parts – to ensure children can sound them out/decode them. The numbers on the bottom axis represent year of schooling. In the first year of schooling, a child’s ability to decode words accounts for almost 80% of their reading comprehension. If early years teachers’ main literacy priority is good reading comprehension, the best thing they can do is give their students great phonics instruction so they learn to decode well. This will prevent a lot of literacy difficulties, leave the children who were always going to struggle less far behind, improve everyone’s spelling, give my telephone ear a rest and reduce the risk of parent riots. And since it will boost their students’ skills and cut their differentiation workloads, it will also be very good for teachers’ feelings. Hopefully that will more than make up for any short-term hurt felt by anyone inclined to take criticisms of our prevailing early literacy-teaching system personally. *Based on data from the Connecticut Longitudinal Study, Foorman et al 1997. This entry was posted in curricula, research, teaching strategies on January 29, 2016 by alison. I am really interested in the comprehension stats. 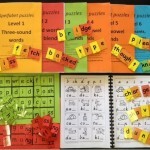 I have been using a synthetic phonics program with Prep aged son who is now Year 1 and he soared. Unfortunately teachers assume strong reading means lack of comprehension. I have tried to find statistics that inform their basis for concern as it is such a common theme in schools and I can’t. I make sure we check understanding of what we read and it is on par with reading ability. Meanwhile I nod and accept much much lower levelled readers and continue to forge our own path at home. Yes the old pejorative “barking at print” idea seems very persistent, so teachers need to have good, objective systems for assessing both comprehension and decoding. Unfortunately the Running Record, which seems to be widely used in my local schools, is not such an assessment, it’s too subjective. Thank you for another great article. Did you see this article in The Australian? It’s great to see this important issue being discussed in the public arena. 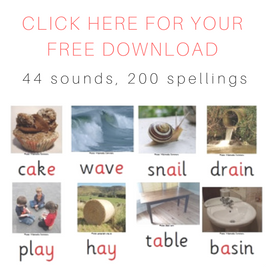 I love your blog and have been implementing a synthetic phonics approach for the past five years in my foundation class. I would say that it’s not always the “teachers” who are to blame. Unfortunately some leaders of schools are taking teachers down a wishy washy pathway mandating certain objectives be achieved. For instance – by end of kindergarten all children are to know first 50 sight words or can read level (insert whole language levelled reader here). Until ACARA begin to provide more specific direction in the curriculum, instead of vague statements, this issue will never improve. It does always start at the top – although I have managed to change practices in my centre it is just a drop in the ocean. Hi Sarah, I agree, teachers are in my experience excellent people working very hard to serve their students well. However our universities do not equip them with a good understanding of language and particularly phonology, morphology and orthography, and at times teach things that are simply wrong (e.g. 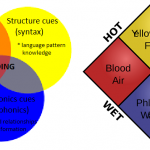 learning styles, multi-cueing), our education departments mandate objectives which make no sense to anyone who understands the science about how beginners learn to read, and most publishers produce and promote resources which match what the universities and departments are saying, not what the science says. 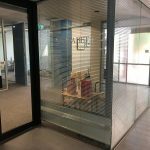 Good on you for changing practices in your centre, you’ve done what you can do, now it’s time for other people to also play their part in giving children the best literacy start they can. I would like to recommend, as an innovative early literacy tool, a children’s book series called Alphabet Anatomy. 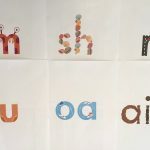 Meet the Capital Letters and Meet the Lower Case Letters provide a fun, short rhyme for each alphabet letter that can easily be incorporated into playful learning experiences. The rhymes provide visual and auditory recall of each letter’s shape and sound, in addition to insight for print formation. It is also an easy, inexpensive way for parents to foster letter recognition and alphabet knowledge with their children. Alphabet Anatomy is available through Amazon, Ingram, and Bowker.